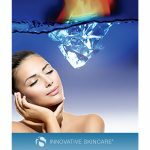 What is a Fire and Ice skin treatment? Home/ What is a Fire and Ice skin treatment? The FIRE: The “heat” during this treatment is used to stimulate blood circulation, allowing youthful cells to regenerate on the surface. The ICE: The cold sensation reduces the inflammation and redness of the skin following the heat. The” ice” also achieves a soft and smooth skin complexion, which will leave you with a beautiful glow. Q: What is a Fire and Ice skin treatment? A: Using “fire” followed by “ice”, has been proven to provide a photo-ready skin glow. At Rejuvenation Medspa, we begin with iS CLINICAL Intensive Resurfacing Masque. The Masque contains Vitamin B3 along with several antioxidants, including green tea extract. Once the masque begins to work, you will feel a minimal tingling sensation. Other wise known as, “The Fire“. The skin will begin to calm once the iS CLINICAL Rejuvenating Masque is applied. Also, known as “The Ice“. Once applied, a cooling sensation will be felt as the masque works to smooth the irritated skin. Following the treatment, other iS CLINICAL products could be applied based on post recommendations. Q: When should I get this skin treatment? A: You can see results from the Fire and Ice skin treatment almost immediately. Most clients walk out of the office with a noticeable glow. However, it is recommended to receive these treatments once a month to ensure long lasting results. This is also known as a “no down-time” treatment, meaning within 4-6 hours any inflammation and redness should subside. Also, keep in mind sunscreen is always recommended following treatment especially if you plan on experiencing long increments of sun exposure. Q: Who would benefit most from this treatment? A: Those of all skin types would greatly benefit from a Fire and Ice skin treatment. Q: How do I receive a Fire and Ice skin treatment? A: Call your local Rejuvenation Medspa, located in Greensboro and Asheboro, to schedule your appointment today! Want to try the latest upcoming treatment in Hollywood? The Fire and Ice skin treatment has created a high celebrity profile, being at the top must have skin treatments today. Join the buzz to achieve a flawless, rejuvenated skin complexion!